This statute will be enforced for sales occurring on or after July 1, 2018, the first monthly filing period after the date of the Wayfair decision. 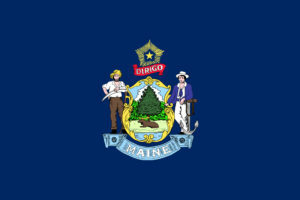 MRS urges every seller that is subject to section 1951-B and has not already done so to immediately register as a Maine retailer and begin collecting and remitting Maine sales and use tax. Any remote seller that, on or after July 1, 2018, met or meets one, or both, of the nexus thresholds established by section 1951-B, but did not register as a retailer, is subject to assessment for any uncollected or unremitted Maine sales and use taxes. MRS has established a new web page for Remote Sellers containing links to assist retailers with tax registration and understanding the taxability of the goods and services sold into Maine. Customer assistance is also available through e-mail at sales.tax@maine.gov or by calling 207-624-9693 Monday-Friday between the hours of 8:00 AM – 5:00 PM EST, holidays excepted. This entry was posted in Maine and tagged economic nexus, ENexus, Maine, online registration, sales and use tax, sales tax, use tax, wayfair response by ZASALT. Bookmark the permalink.